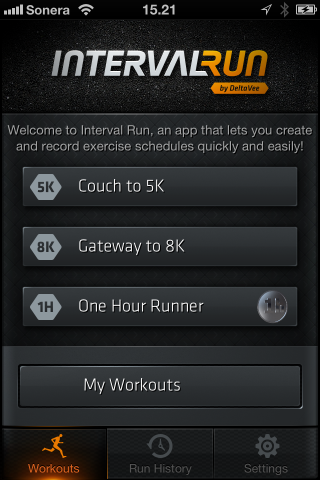 Interval Run is a utility app designed for interval running. Just start a run and it will guide you through your chosen workout. 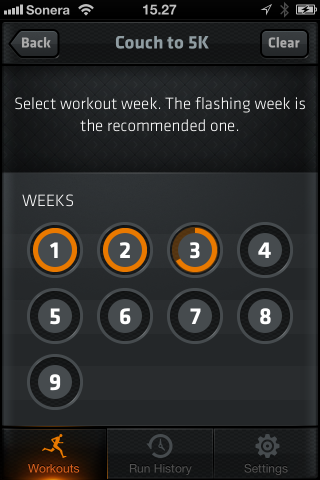 Spoken feedback to notify the user when to switch between intervals. 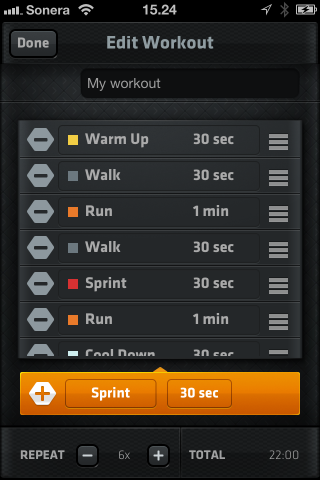 Tabata, Couch 2 5K, Gateway to 8K and One Hour Runner programs included. On the iPhone, check the Ring/Silent switch. 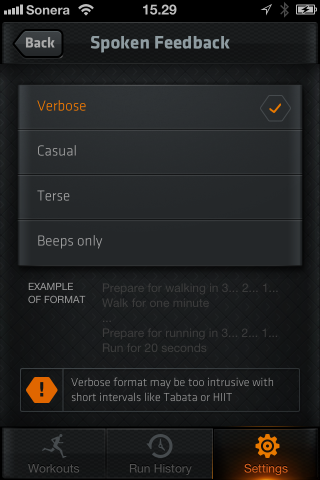 Interval Run doesn’t play any audio in silent mode. Start some music before starting Interval Run. Otherwise, locking the phone will disable speech. If you don’t like to listen to music during exercise, please leave the iPhone/iPod unlocked and disable automatic locking from ‘Settings/General’. Check your volume settings. 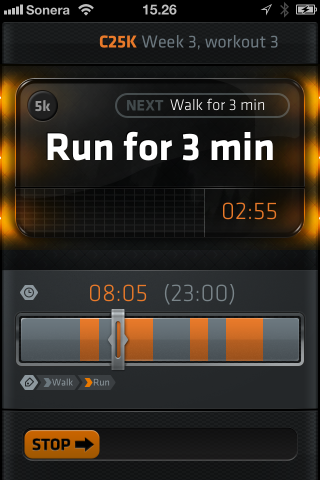 On the iPhone, Interval Run uses the Ringer volume for speech. You can adjust the ringer volume using the physical volume buttons when music is paused. On the iPod you can bring up the volume dialog by double-clicking the home button.